To be honest, I'm not really into netbooks. I'm looking for an internet device that is more than just a really tiny laptop. This MID concept seems to be a step in the right direction. Right off the bat it is plain to see that this thing just looks good. 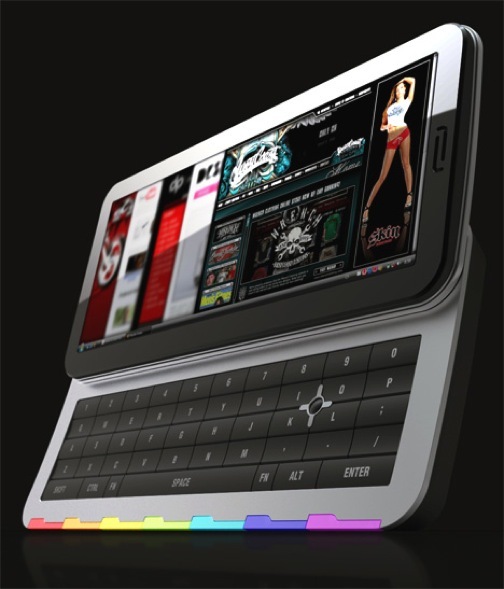 It's designed more like a slider phone—which opens up portable possibilities beyond that of a simple netbook. Plus, the proposed features are actually realistic: QWERTY keyboard with trackball, wide LCD touchscreen, 7 "action buttons" that can be used when the device is closed, two USB slots, microphone and audio input, SD card reader, stereo speakers and docking connector.